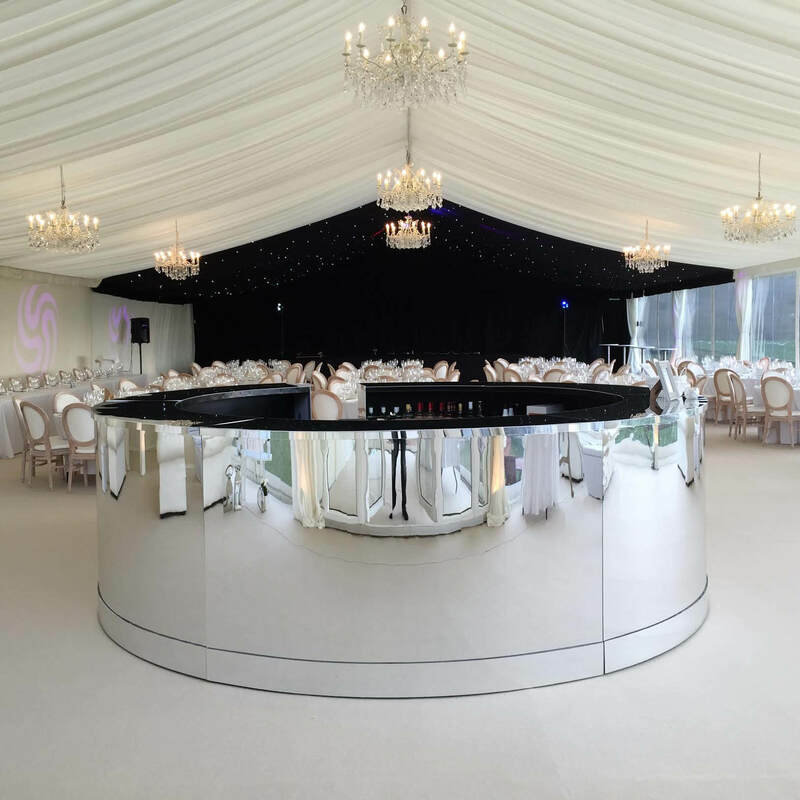 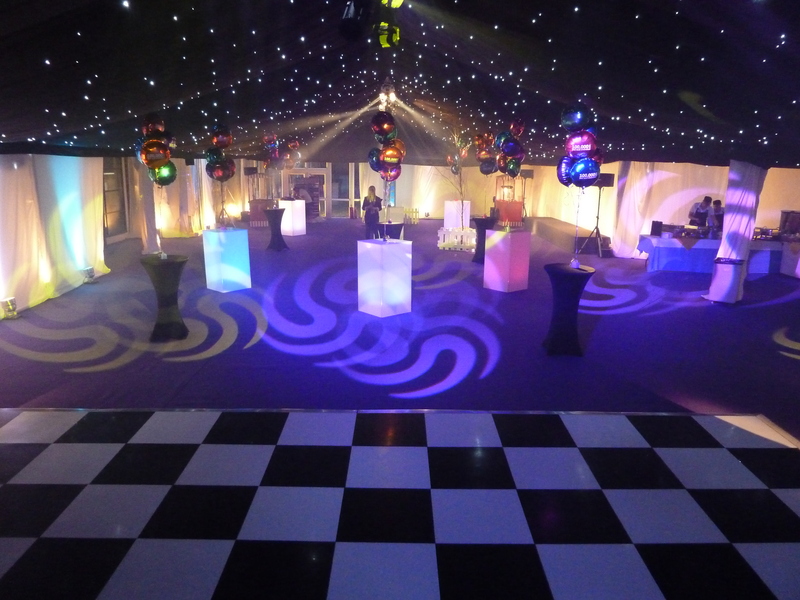 We used a combination of cocktail tables, including standard black clothed and glow tables which faded in and out of different colours. 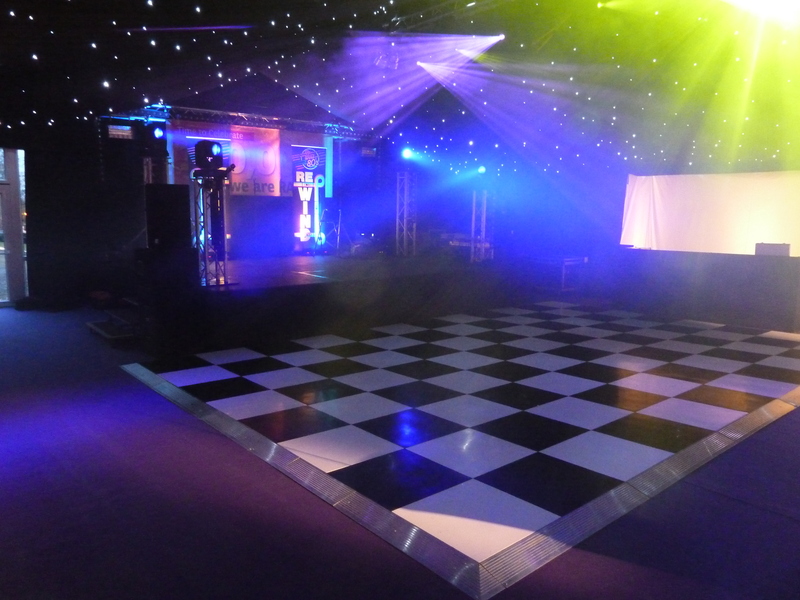 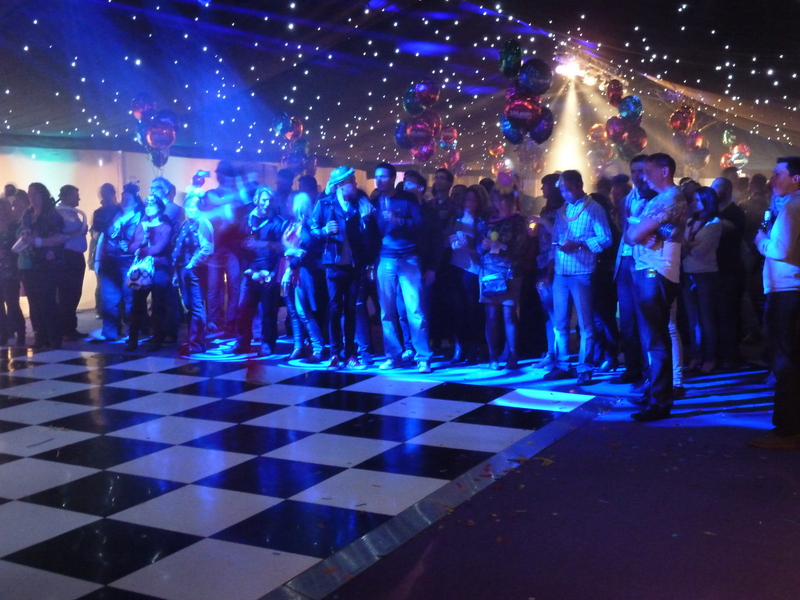 We also supplied two stages for performers and a black and white dance floor. 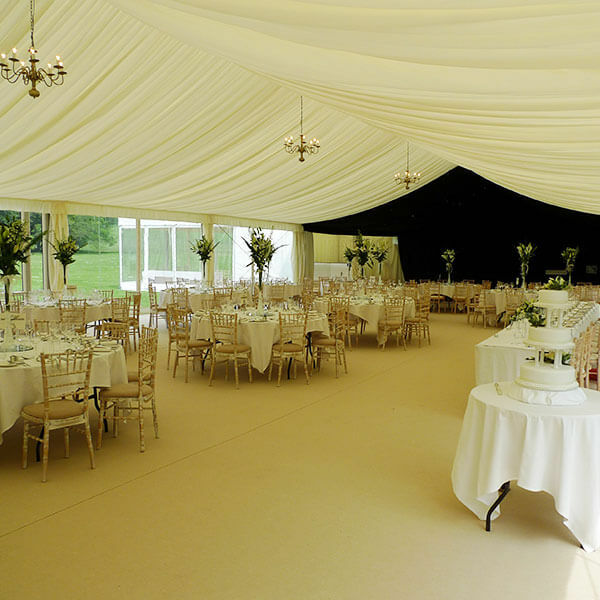 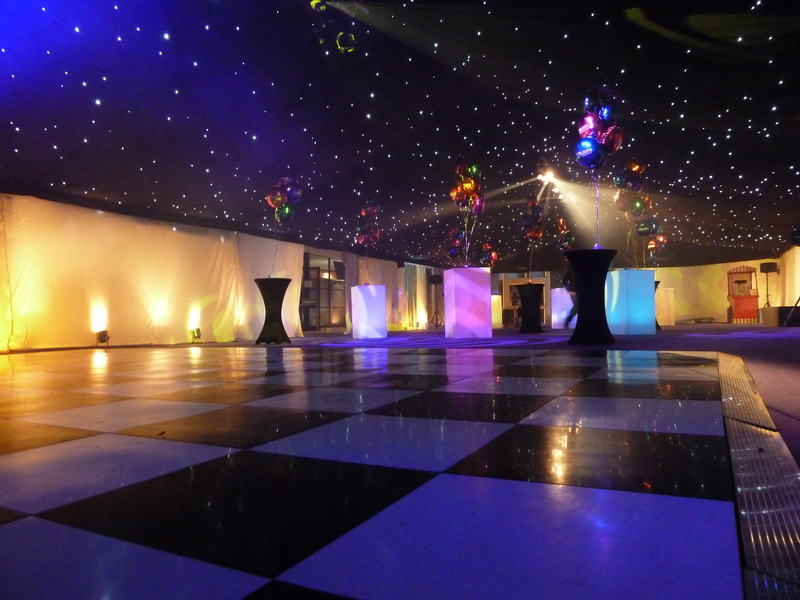 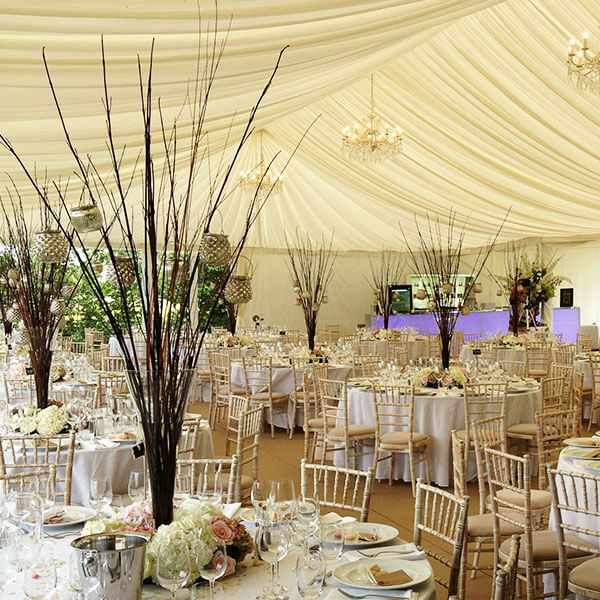 The marquee had a complete starlight ceiling throughout and we also supplied uplighting at the sides as well as pinspot lighting above for performers. 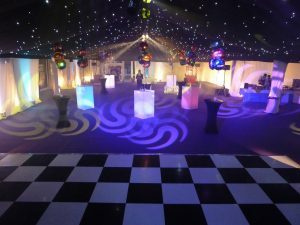 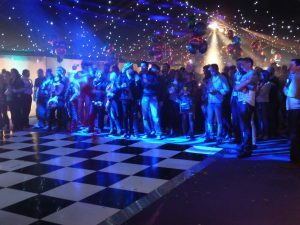 The dance floor lighting was supplied and controlled by a technician from Swindon PA hire for a seamless event throughout the evening.